Be Positive. Be You. Life and Relationship Coaching - Be Positive. Relationship and Life Coach. Lets start today, approaching all relationships in your life with honesty, love and true authenticity! Let's start creating a positive authentic connection with ourselves, so that we can have the same approach with others we love in life! It is never too late to dedicate yourself to being your best you!! * Do you feel like you are having a hard time letting yourself be you? * Do you feel stuck or confused in your relationship with yourself? *Do you feel its hard to be yourself when the world has other expectations for you? *Do you have relationships in your life (parent,significant other, friends etc.) that make you feel like you have to hold back who you really are? I offer one on one sessions working with you to get your relationships on the right path.It all starts with your relationship with yourself. Contact me today for information or to set up a free consultation. 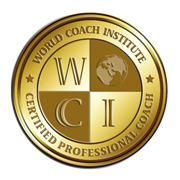 Coaching can be done via email, in person , online chat, etc. Austin Texas Life Coach. Cedar Park Texas Life Coach. Austin Relationship Coach. Cedar Park Relationship Coach. Cedar Park Texas. Austin Texas.